Manning Regional Healthcare Center (MRHC) is proud to announce the addition of pulmonary rehabilitation to better serve the needs of our community. The addition of this service, which is offered during regular business hours at MRHC, compliments the recent addition of our respiratory therapy program. Pulmonary rehabilitation is a program of exercise, education, and support to help patients learn to breathe and function at the highest level possible. Patients will work with a team of specialists to learn about: breathing techniques, medications, nutrition, relaxation, oxygen, travel, how to do everyday tasks with less shortness of breath, and how to stay healthy and avoid COPD exacerbations. Patients will also learn how to cope with the changes that often come with COPD - depression, panic, anxiety, and others. In order to qualify for pulmonary rehabilitation at MRHC, a patient must be referred by their doctor and have spirometry test results within the past year that shows they have chronic obstructive pulmonary disease (COPD). 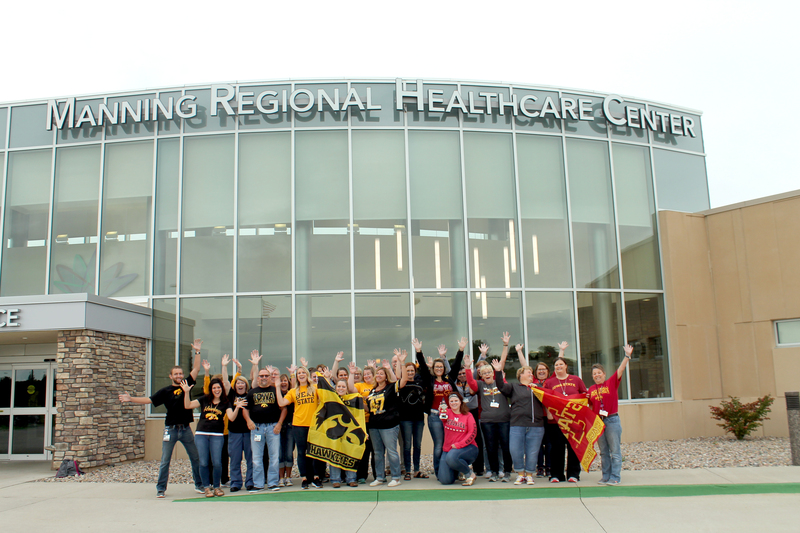 Schedule an appointment with a provider to see if pulmonary rehabilitation is right for you, call Manning Regoinal Healthcare Center at (712) 655-2072.